Are you a coach, consultant, or practitioner who is feeling STUCK in their business? You have many different services you can deliver yet you do not have an offer or program that is selling consistently. There’ve been times when you were booked out with clients and sessions but you got burned out and that led you to retreat in frustration. 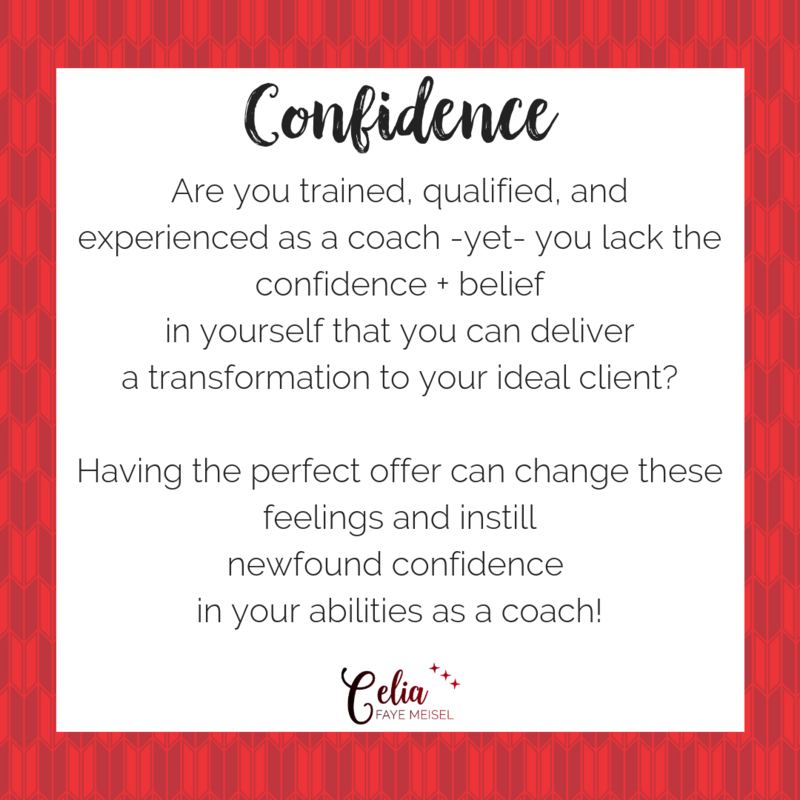 Even though you are highly trained, skilled, experienced, and qualified you still aren’t confident & convinced that you can deliver transformational results for your ideal clients. You aren’t sure who your ideal client even is, let alone how to speak to them in a marketing message or video. You’ve done some work on this but you feel a lot of resistance around focusing on a specific ideal client. 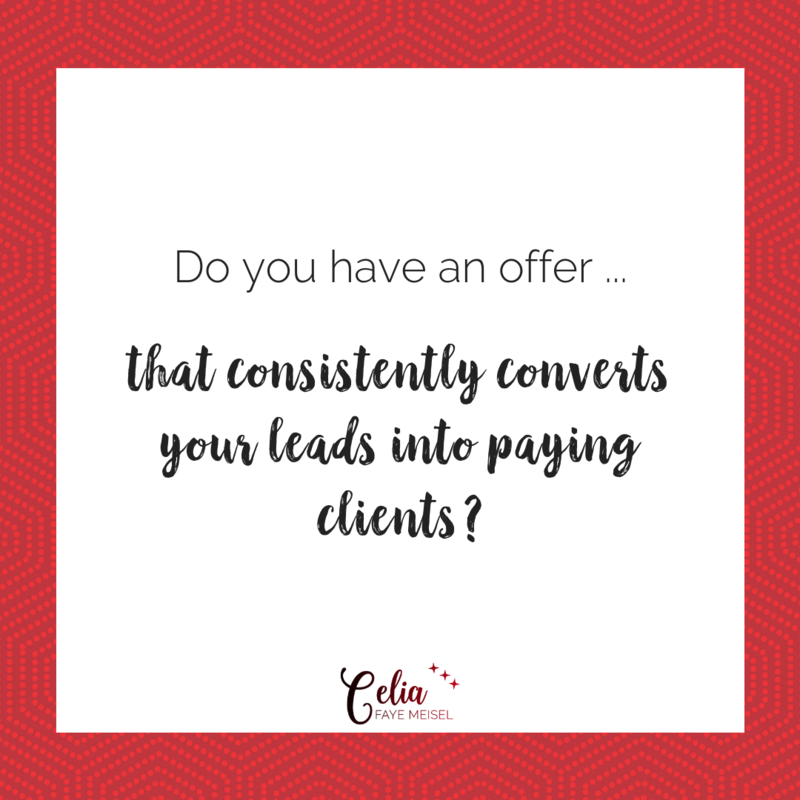 Celia is the only coach I have worked with who has given me the personal attention I have craved to help me create offers, shape marketing messaging, talk about the specifics of how and when to reach out to people and what to say – and more. She guides you through the sales process in the most empowering way possible, taking you through everything you have always wanted to know more about but haven’t asked. She knows what you need to know and tells you right at the point when you are realizing you need to know it. All targeted for your success, your inner growth, and your benefit. You’ve never learned or mastered how to effectively qualify leads and prospective clients to work with you. You’ve never learned or mastered how to bring prospects onto a sales call. You’ve never learned or mastered how to close a sales call. You’ve never learned or mastered an effective follow-up process. And if you’re one of the coaches who is already making sales … then it’s time to scale and learn how to sell over live & recorded video and learn how to write posts, copy, and messages that sell as well! 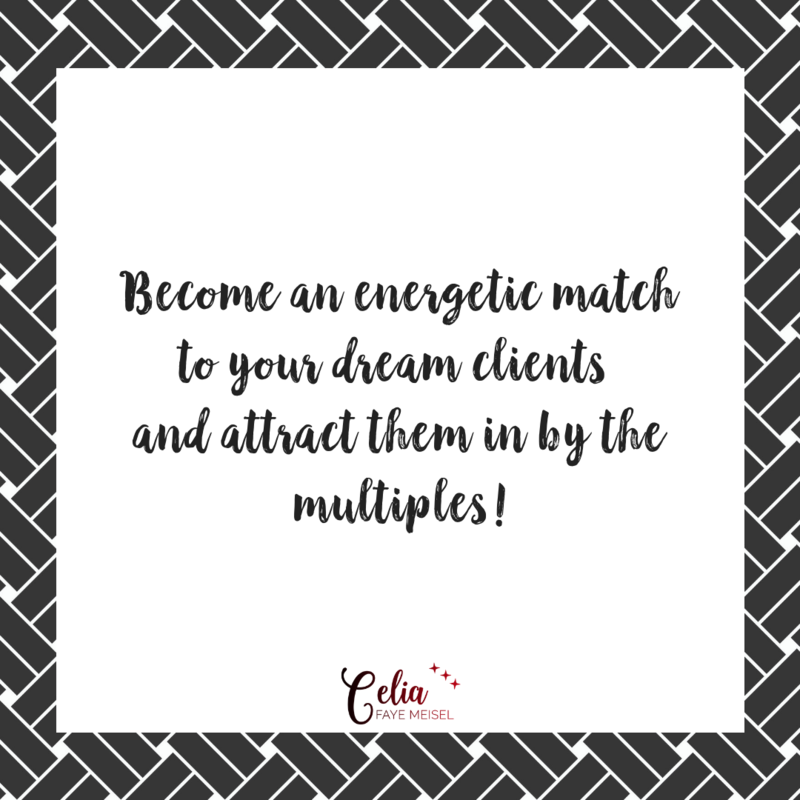 In working with Celia, she helped me clear the fog and confusion within my business so that I could take aligned action on my dreams! I honed in on my strengths and shifted the way I positioned myself to potential clients. Now I’m attracting new clients and my messaging is clearer to dream customers. Celia’s work, heart + energy is magic! You aren’t alone in these thoughts and feelings, I can relate to all of this and more! I’ve been where you are right now and I remember how it felt to live in a space of uncertainty around my business. >>> and the confusion around my offers. This is why I wake up everyday living my life as if it were a mission and helping online coaches like you is the purpose of my mission. You have a brilliance to give the world and uncertainty about what to offer, who to offer it to, how to sell, and how to close sales should not be what stands in your way! If you are resonating with what I’m sharing here, I’d like to invite you to join me for a 1-1 Clarity call where I can help you to dive deeper into one of these areas I specialize in – your offer, your ideal client, your messaging, or your sales process. To get started, click the link below, choose your preferred time to meet, and fill out the questionnaire [that supports me prepare for your call] and boom, you’re done! Do you need more info before you schedule a time for us to meet? No problem! Maybe you’re not sure about setting up a clarity call because you fear being pressured into buying something. You can obviously see that I love sales and maybe you think I’m going to sell to you throughout the entire call. Yes, you are right! Partially. I do love sales & selling, it’s my passion and gift. However, when you sign up for your call I can not guarantee that I will sell to you! Yep, that’s right. I can not guarantee that I will sell to you. The reason being, I only make offers and present opportunities to business owners I feel I can help. If I feel that I can support you only then will I make an offer and it will come up as a natural outcome of our conversation, not out of left field or from an awkward energetic space. I pinkie promise! To sweeten the deal even further, I will give you a full refund for the cost of your clarity call … oh wait … the clarity call is at no cost to you! The investment you make is with your time + energy which I respect and value very much so I promise not to waste your time on the call. For anyone who is serious about upleveling in their business and life, I HIGHLY RECOMMEND hiring Celia as their Business Coach. After “plugging away” on my own, my success was limited. I got great results and reviews from my clients and students, but I had an “invisible limit” of only 4 students at a time. After working with Celia and following her guidance, I experienced GREAT RESULTS, and more importantly, I experienced them QUICKLY! 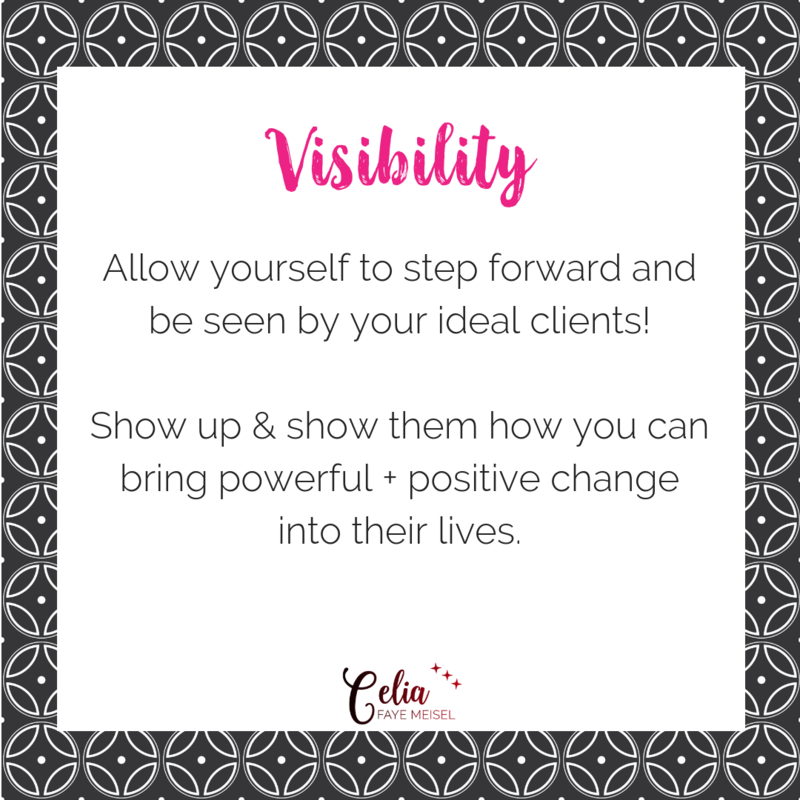 When I followed Celia’s coaching, I got out of struggle and into flow, and as a result, I broke that “invisible wall” of only 4 students at a time, experienced my highest grossing month ever, and enrolled 17 students in my next class! I couldn’t be happier with my results and I view Celia as a special gift from my guides. She has a unique perspective and background, giving her an edge that other coaches don’t have and she takes a personal approach to her clients which is something that I have not experienced from other coaches and mentors. Taking a PLUNGE and investing in yourself is imperative if you want to succeed, and if you are willing to go the distance, Celia will help you achieve your goals. I cannot say enough wonderful things about her, she is truly the real deal!